Over the years, I have developed a stockpile of interesting, thought provoking essays. Often I give them to clients who I believe will be impacted by the content and energized to make positive changes. Below is part of an essay which reminds us that a few adjustments to our thoughts and our behaviors can make all the difference. I dreamed I had an interview with God. "What surprises you most about humankind?" "That they get bored with childhood - they rush to grow up and then long to be children. That they live as if they will never die and die as if they have never lived." "As a parent, what are some life's lessons you want your children to learn?" What they can do is let themselves be loved. To learn that it is not good to compare themselves to others. To learn that a rich person is not the one who has the most, but the one who needs the least. To learn that it only takes a few seconds to open profound wounds in persons we love and it takes many years to heal them. To learn that two people can look at the same thing and see it differently. To learn that it is not always enough that they are forgiven by others but that they must forgive themselves. And to learn that I am here, always." We face many challenges in life that are beyond our immediate control. Remembering to focus on what we can control such as our thoughts, beliefs and responses will help keep us grounded. The Methodist Healthcare Employee Assistance Program is here to help you implement some of these adjustments in your life. We can help. Give us a call at 901-683-5658 or at 1-800-880-5658. Author: Brian Long has a Master's degree in Counseling from the University of Memphis. 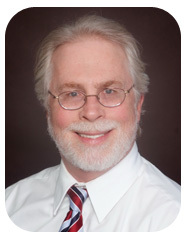 He is a Licensed Professional Counselor and a Certified Employee Assistance Professional. He has been employed by Methodist Le Bonheur Healthcare since 1986 and with the Employee Assistance Program since 1990.